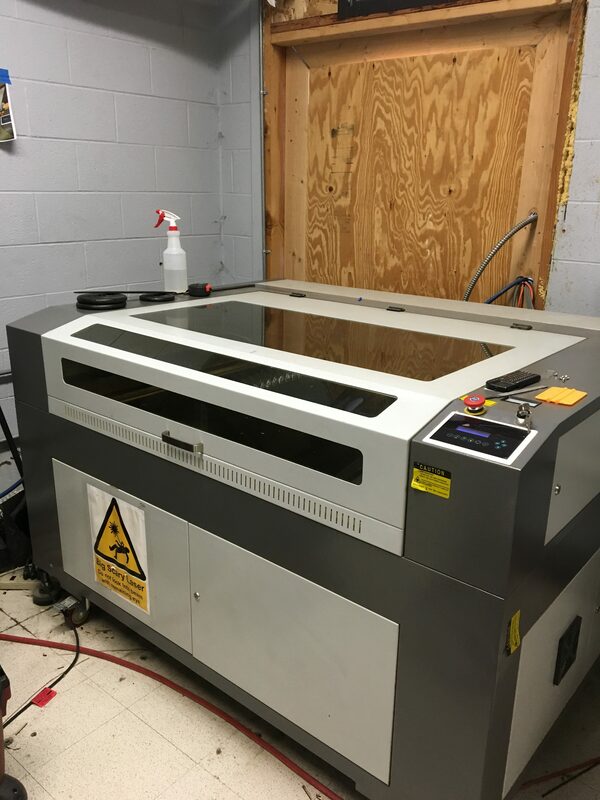 We offer custom laser cutting and etching services with direct pick up and shipping to residents in the US. 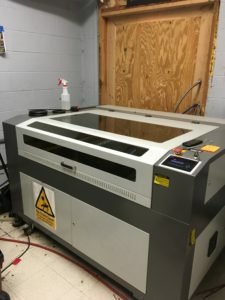 Walk-ins are welcome and you don't have to be a member of the space to use our laser cutting or other digital manufacturing services. 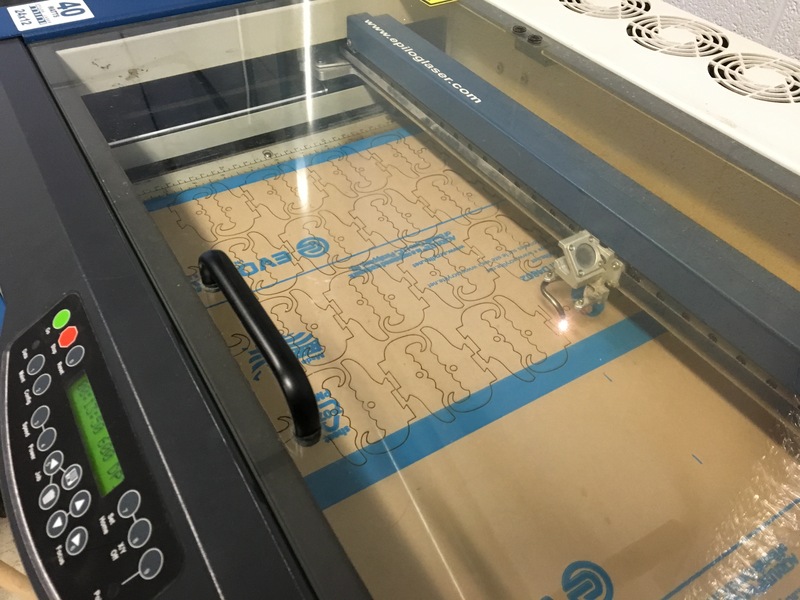 We stock a variety of materials in a variety of thicknesses for laser cutting as well, so you don't need to provide materials in most cases. Stop by or use our job submission form to submit a job or to get a quote. If you need help learning how to create vector artwork for laser cutting or someone to draft your designs, we can help out with that too! We host periodic classes covering 2D drafting and we offer 2D drafting and image conversion services. Contact us for more details. Colored Acrylic (many colors in transparent and fluorescent as well) in 1/8"
Anything containing chlorine (PVC, vinyl, neoprene, etc.) - If you need any of these materials cut, check out our CNC routing service. Polycarbonate (Lexan) - It will cut but is toxic and cuts have poor edge finish. If you need any of these materials cut, check out our CNC routing service. Metals - of any variety. Aluminum etches well but all other metals are not cuttable or etchable. If you need metal components cut, check out our plasma cutting service. Carbon fiber, fiberglass, and phenolics - Doesn't cut well or at all and damages the edges of the material when it does. If you need any of these materials cut, check out our CNC routing service. 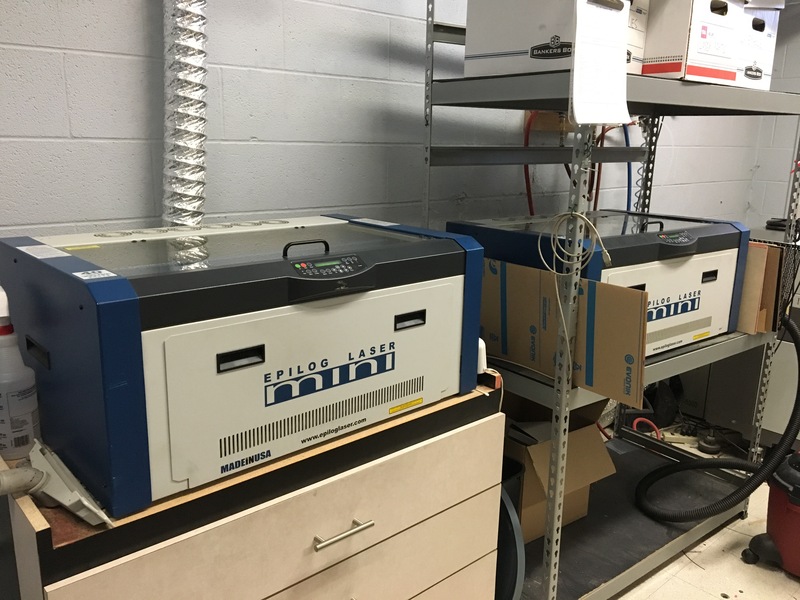 We're also willing to work with any safely laserable material you provide - nothing containing vinyl (PVC is a no-no) and no polycarbonate (Lexan). Additional handling fees may apply. You are responsible for supplying material info to us before cutting (saying "It's plastic" isn't enough info for us to determine how safe a material is to cut) and verifying that we can in fact cut your material. Many plywood products over 1/4" can not be cut due to adhesives used in their construction. Etching services for laptops, small electronics, and other unique items start at $20 per item and are by appointment only. Aluminum etches very nicely, some plastics don't fair as well so any additional info on what you plan on etching would be helpful. Etching is best done on our small format lasers, which have a bed size of 12"x24".